Outdoor Gym QR CODE - How to use a double rower? Outdoor Gym QR CODE – How to use a double rower? 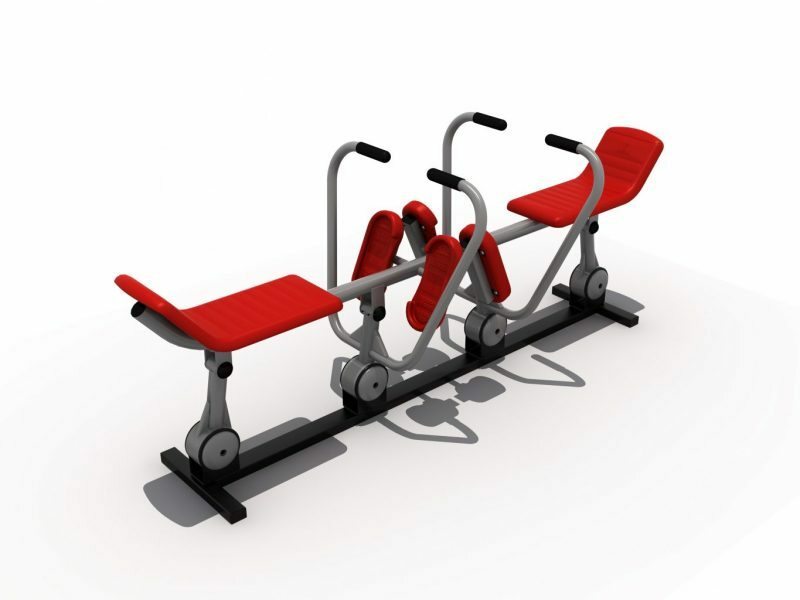 Home » Outdoor Gym QR CODE – How to use a double rower? Sit on the seat, leaning back to comfortably sit in the curve of the seat. Place feet on footboards directly in front. Reach forward and grab handles at the ends of poles (left hand on left handle, right hand on right handle). Keeping feet pushed against footboards, pull handles toward body, then push handles back towards feet, similar to rowing. Continue rhythmically, increasing and decreasing speed, as desired. Provide a high-intensity workout. Build main arm and chest muscles.